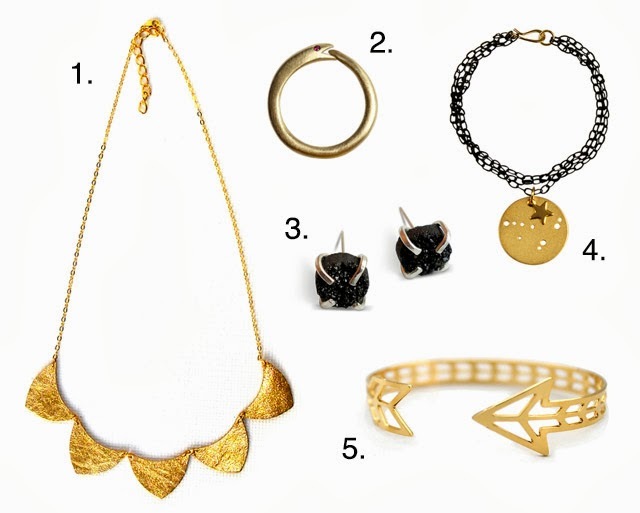 Fab is always free to sign up and they offer free shipping and returns. Don't forget to check out their 50% off sale on Men's and Women's fall items right now! What a cute fall outfit! Love the tote. I love this outfit! I am so ready to pull out my flannels. Unfortunately I just still get so freaking hot in the afternoons! I am thinking maybe in a week it will be time to pull them out. 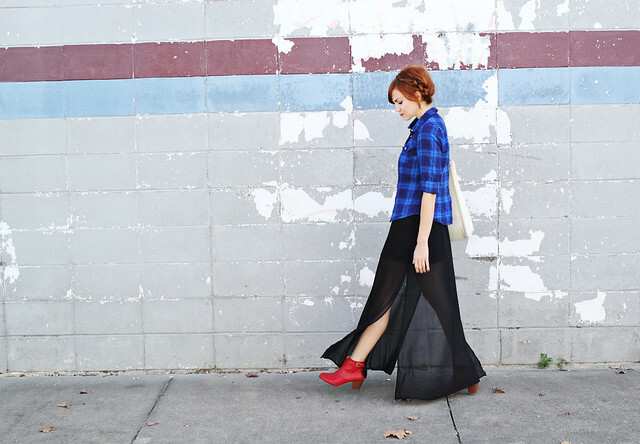 I love the way you have styled this one! I'm not usually a flannel girl but katie you pull it off so well! 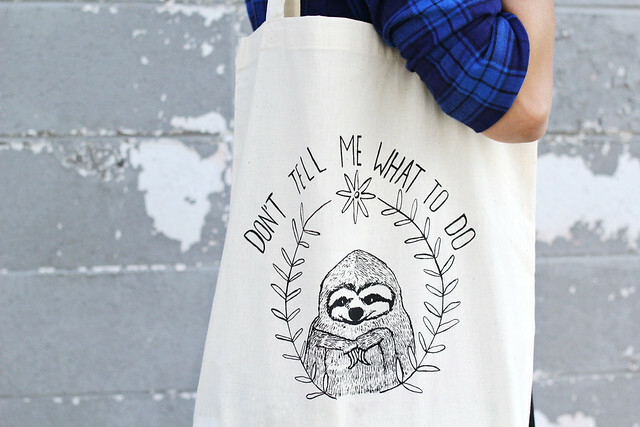 and hahah that tote is hilarious, I've also let those words slip out of my mouth now and then... consequence of growing up with parents who liked for me to make my own decisions and advocated "do what you want (within reason), not what others want"
Love reading your blog - such beautiful pictures! Love that tote bag. Cool outfit, really like the jewelry. 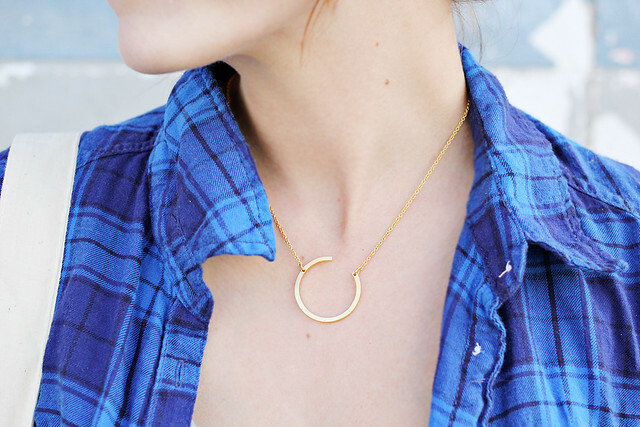 I'm not a big jewelry wearer and I always go to my favorite unique pieces when I do get some pieces. These are definitely all keepers. I really like this outfit, and that necklace caught my eye right off the bat, nice! Flannel + Milk Maid Braids + Sloth Tote?????? So so cute. I REALLY need to get red boots this fall! There is no way around it anymore! - and you are looking great! As always! I LOVE that outfit! And I need that tote. It's simply perfect. I immediately went and bought that tote as soon as I saw this. That is exactly me too. Now that I'm entering my late 20s I am beginning to think it is no longer a rebellious stage, just a way of life. ha! Such a cute outfit! 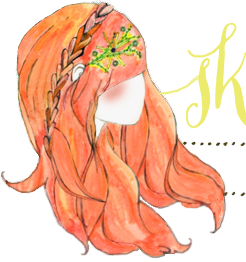 Do you have a tutorial somewhere for that hairdo? It's so cute! 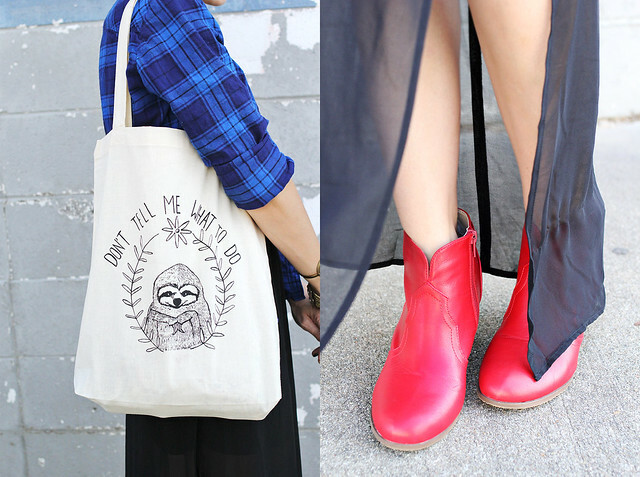 oh my gosh that tote! i had to go buy it immediately. it is so perfect! is it wrong that i take dressing cues from you. because i do. 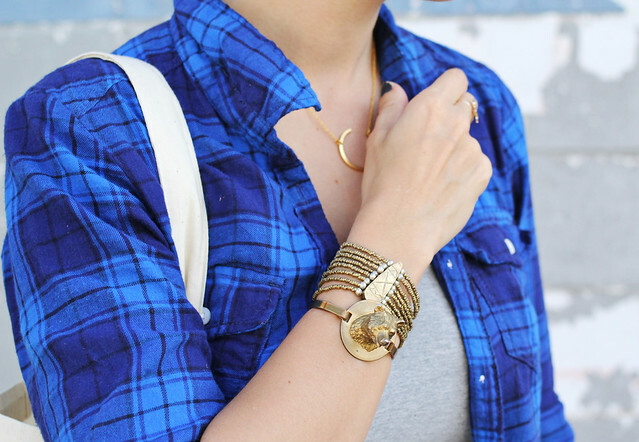 The blue flannel really sets off your hair- what a cute way to work flannel into a stylish outfit! I absolutely LOVE the shoes! Anyone that knows Me knows I am obsessed with everything red, and always have a red piece on Me ^_^! The whole outfit is so cute! And oh do I miss My red locks now :(, They are so pretty on You ^_^!! gorgeous! such a fantastic outfit and up do! love those earrings - so pretty! 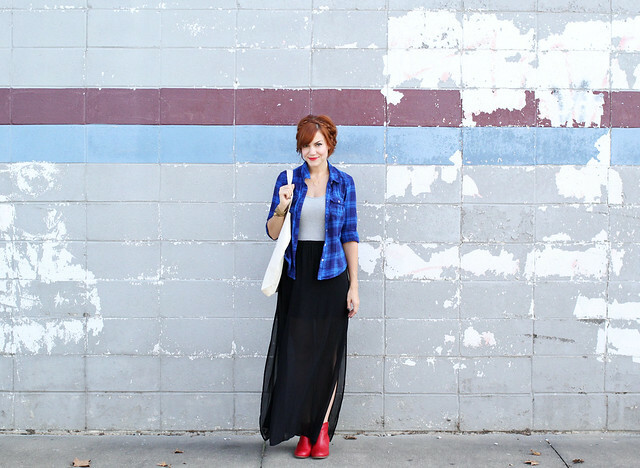 It's just not fall until you break out the flannel. :) Also, that tote--incredible. Perfection.. you are just down right fall perfect! 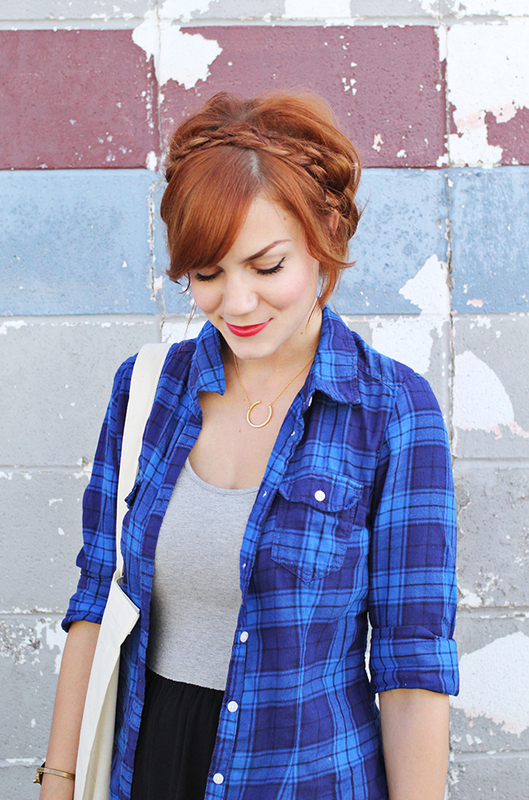 Loving the up do- have you ever done a tutorial on that (or consider doing)? Happy fall you darling lady!